I always loved writing, but I had this weird awareness that writing was hard to break into and not realistic to bank upon as a profession. Oddly enough, I had this awareness during the same time period when I planned to be 1) a famous actress, 2) a mermaid, 3) an astronaut and 4) President of the United States, in that order. It wasn’t until I was out of college that I seriously started pursuing writing as an actual profession. Because it allows us to learn to see through a perspective other than our own. Learning to empathize with other people totally unlike you is one of the most valuable skills we can have in this world. Plus, it’s fun to escape reality and live in someone else’s (fictional) skin just for a little while. The answer to both of these would have to be LEGACY by Susan Kay. I wrote a whole blog post extolling the virtues of this book once, but needless to say, I read it in seventh grade and became totally obsessed. It’s a novelization of Elizabeth I’s life from birth to death. It seriously changed my life. It got me interested in history (eventually I majored in it), it caused me to read about a hundred more books about the Tudor era, and originally I planned to be a writer so I could pen a great Tudor epic. Historical fiction is not quite my thing now, but the idea of it got me started. In your new book; Vortex, can you tell my Book Nerd community a little about it and why they should read your novel? 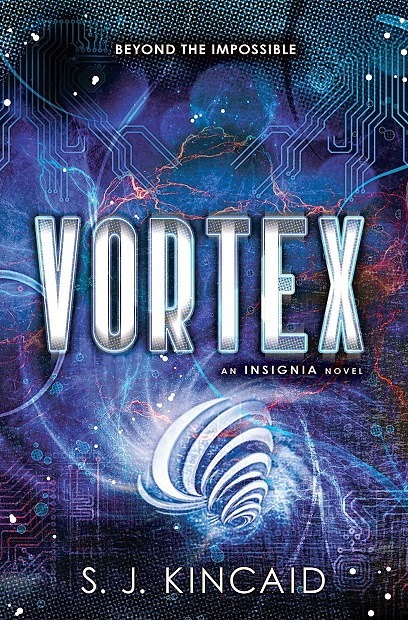 VORTEX is the second book of the INSIGNIA series. Like the first one, it’s a near-futuristic scifi much closer to our current reality that many others in the dystopian genre. The series centers around a close group of friends in a training program to become combatants in World War III. Like in INSIGNIA, it’s a mixture of absurd, silly humor and serious, dark drama, but unlike INSIGNIA, the main character Tom has some hard lessons to learn about the way the world works and how to be effective in it. Some past mistakes come back to haunt Tom and his friends, and he faces a big decision about how much he’ll need to compromise in order to achieve his goals in the world. For those who are unfamiliar with Tom, how would you introduce him? Tom is a creative, funny guy who grew up as a drifter with his father. He’s never had structure or any real authority figures in his life, which creates some of the main conflicts Tom has as a character once he’s recruited for the Intrasolar Forces in INSIGNIA. He’s a great friend to his friends, and totally obsessed with a girl named Medusa, the most deadly fighter on the enemy side—whether for better or worse. I’d introduce Tom to Rose from Vampire Academy. I think he’d make an idiot of himself falling madly in love with her, because she’s an unapologetic badass and that’s what he loves in a girl. I also think she wouldn’t give him the time of day, which would make it all the more amusing for me. “How much do you weigh?” I will never answer this honestly. I interned in college at this tiny sweatshop of a nonfiction publisher in California. I worked full-time four days a week in this non-air conditioned office. It was this miserable work environment, and everyone who worked there was crazy, or depressed or neurotic. 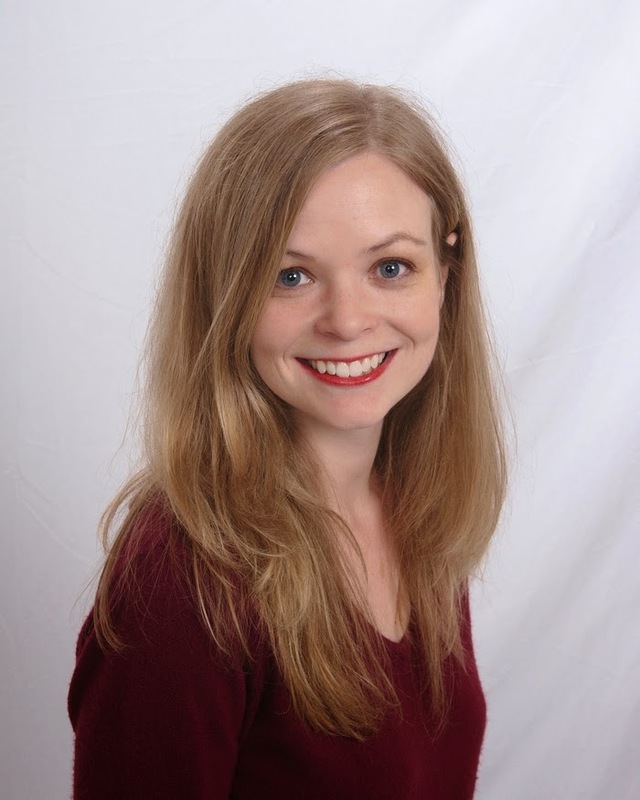 I realized I never wanted to go into publishing on the publisher side, though looking back, I think I had a very skewed perspective from inside that depressing place. The worst part was, I double-booked an author on her tour via Expedia (by pressing the back button without realizing it). Expedia wouldn’t issue a refund. For that infraction alone, despite working nearly full time my entire summer, the publicity manager who was my boss refused to give me a recommendation. I still seethe at the thought of the hours I wasted laboring for those people. That was my last unpaid internship. I had such a huge crush on this boy, and we started going out. Then he fell out with my best friend at the time. A terrifying vision of having no friends flitted through my head, so I hastily broke up with him. I severely regretted it because I really was infatuated with him, so we got back together the next day after I broke up with him. My friend found out and got mad at me, so I broke up with him again the following day. Needless to say, he was not interested in getting back together with me when the drama between him and my friend blew over. Ironically enough, that friend and I didn’t stay friends very long, anyway. That was the sordid saga of my first-ever boyfriend. First real, non-truth-or-date kiss? It was with the same boy as above. I was fourteen. I knew it was coming, and I was waiting for it all night. The he dropped me off at my dorm, leaned into kiss me, and his lips were these gigantic wet cushions mashing mine. It felt like a wet eel writing against my face. His teeth smashed mine. He pulled back and I apologized because I assumed I was the bad kisser doing something wrong. He assured me, “Don’t worry about it.” I wandered up to my room in a daze, very happy, but also wondering, Why do people make such a big deal of that? Do people actually LIKE kissing? When I got food poisoning at BEA the night before all the meetings I’d come to do. I could not sleep and was lying in agony on a very hard bed, my stomach aching terribly, as the sun rose outside and the hours counted down to a morning meeting. I knew I had to cancel it, and I worried I’d miss everything after paying a lot of money and flying all the way across the country. It was extraordinarily frustrating timing. That was not a fun night. Ugh, unpleasant, but I guess I’d have to say heart break. Love is one of those fundamental human experiences everyone raves about, or dreams about, or writes about and romanticizes. I think I’d feel I missed out on something important reaching the end of my life never having fallen in love. I probably have to go with the 1980s. Even though I’d end up with tons of pictures of me with weird hair, awful jeans, and strangely assymetric clothing, I’d at least get some classic and awesome movies for my generation. Plus, I’d graduate college into a fantastic mid-90s economy rather than graduating when I did. 1) I wouldn’t just write in my journals when I was depressed. I’d write about the good things, too. 3) Ditch those terrible flare jeans—they did not flatter. 5) Go to assemblies rather than skipping them. I missed some great speakers. 6) Get involved in more clubs. 7) Take advantage of more opportunities offered through the school. 8) Befriend people more actively rather than assuming the worst about how they saw me. 9) Learn a sport like tennis instead of a team sport that I couldn’t play much as an adult. 10) Stop caring about the opinions (real or imagined) of people who aren’t close friends. There’s always the notion that a sequel will not live up to the first, but for the second book in the Insignia Series, Vortex by S.J. Kincaid, it just wasn’t the case. The story continues with Tom Raines in his training as a mid-level cadet for the Intrasolar Forces. The training deepens and comes to a crossroad that will force him to choose between his ideals, specifically his future, and his country. Soon, the drapes slowly open to show the corruption that has been surrounding him. A grave mistake will be made and Tom will have to keep his step ahead of the enemy in order to be victorious in a world that is hopeless. Tom is older and has more experience this time around. His character development goes through a series of interesting phases as the story takes a turn towards a darker side. Tom’s problems seem to never cease and become more serious than the last. He will eventually have a major role in the war that is on the horizon. Choices and decisions are heftier and Tom realizes that any mistake on his part will have calamitous consequences. Tom’s life is full of ordeals and Kincaid pieces it all together in an enthralling story. The single plot line that Kincaid disposes in Vortex is enough to keep readers turning pages. Tom’s moves are unpredictable and will have readers on the edge of their seats. Kincaid takes readers into a riveting dystopian story of cybernetics and an emerging third World War. As the country relies on Tom and his friends to save the world, callous politicians and businessmen quickly tarnish it. Unexpected twists and turns are scattered throughout the book that will have readers invigorated and fully captured with the unique and stunning story-telling of Kincaid. Thank you S.J. KINCAID for making this giveaway possible. 5 Winners will receive a Signed Copy of INSIGNIA by S.J. Kincaid. 3 Winners will receive a Signed Copy of VORTEX by S.J. Kincaid.